Sadly, here in North Carolina, summer is officially over and we've started pulling out the leggings, sweaters and boots. However, halfway across the globe in Australia, where PDF sewing pattern designer Felicity Sewing Patterns is located, they are just gearing up for hot weather and summertime fun! 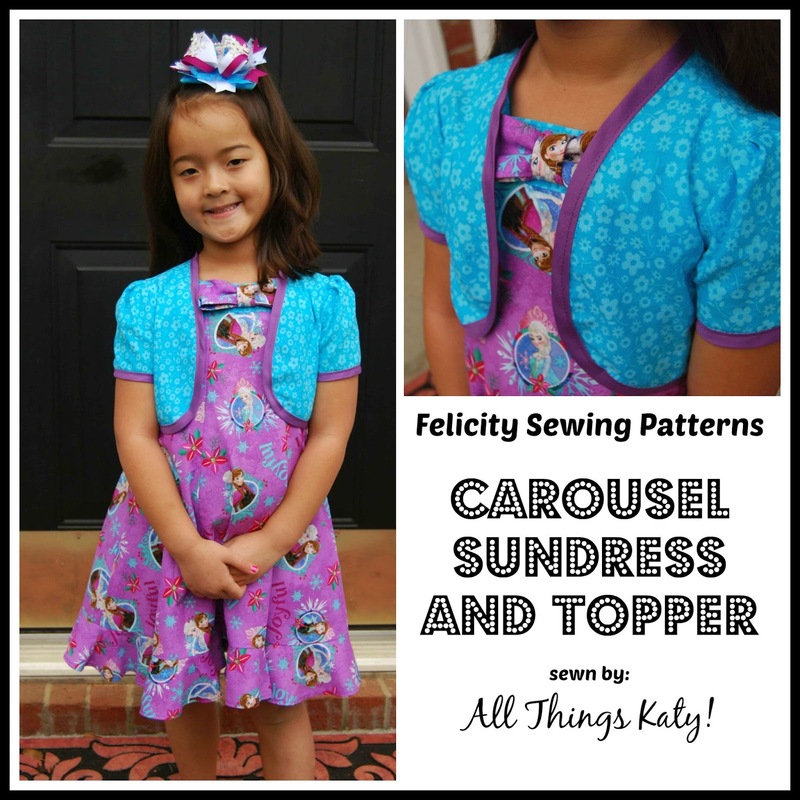 Hotter weather means sundresses for my Lil' Miss and Felicity Sewing Patterns just released a beautiful new pattern, the Carousel Vintage Sundress and Topper, It is my pleasure to review the Carousel Vintage Sundress and Topper for you, today, on All Things Katy! The Carousel Vintage Sundress and Topper is described as, "The dress has a fit and flare shape with princess line panels and a gently ruffled hem panel. There is a short zipper in the left side seam. The straps are inserted into the back neck band and buttoned onto the inside front band where a decorative bow is attached. The back band has elastic inserted to give a snug and flexible fit. 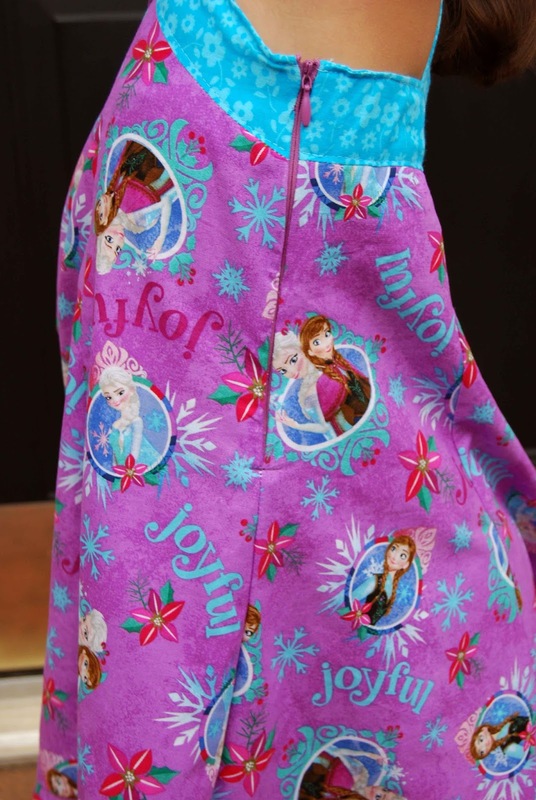 The dress is knee length and the topper sits above the waist. The topper has a self-made contrast bias binding around the neck, front, back and sleeve edges." 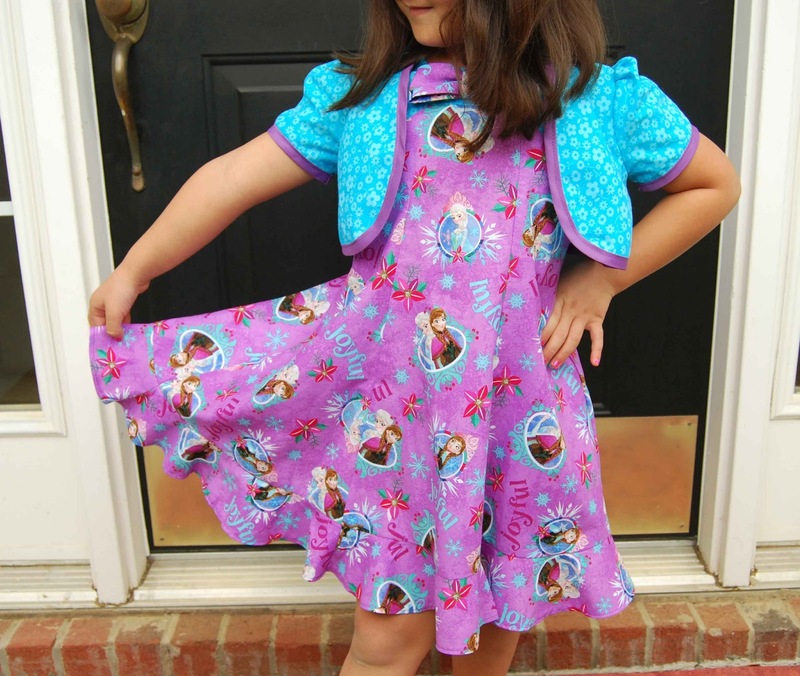 -The Carousel Vintage Sundress and Topper is written for sizes 3-10. -The Carousel Vintage Sundress and Topper PDF sewing pattern includes a fabric chart, size chart, finished length chart, and a pattern pieces layout. Sizes are given in both metric and imperial units. *Note* Pay careful attention to sizing as it may differ from ready-to-wear and/or typical USA sizing. -The Carousel Vintage Sundress and Topper is labeled for an "advanced beginner" sewing level. However, I would personally classify it as more of an intermediate level as it includes a lot of pattern pieces and a zipper. 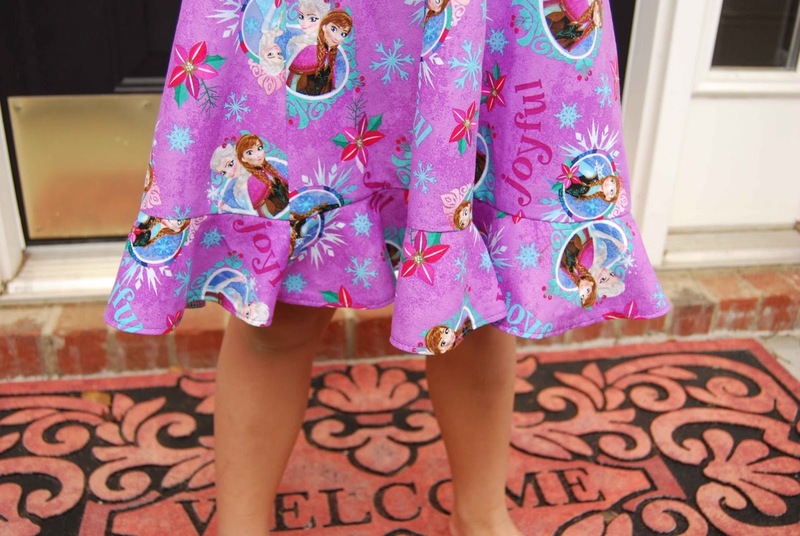 -The Carousel Vintage Sundress and Topper includes step-by-step written instructions with corresponding photographs for each step. 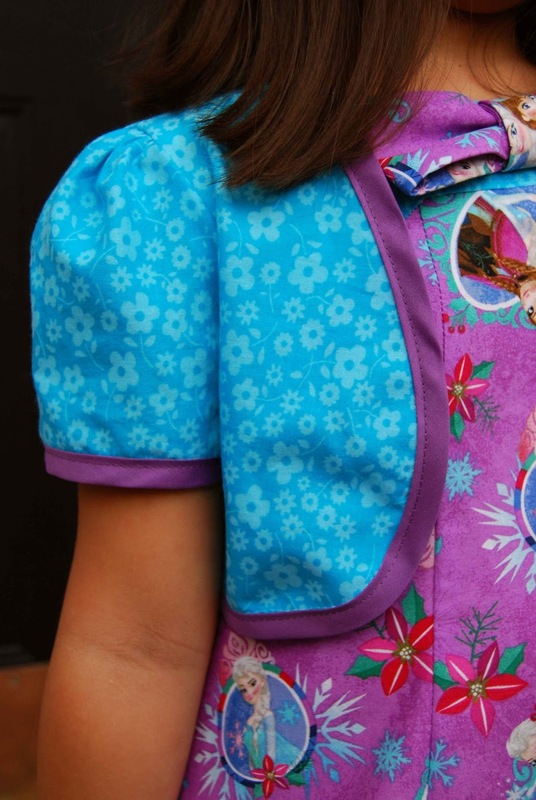 I sewed up a straight size six Carousel Vintage Sundress and Topper. 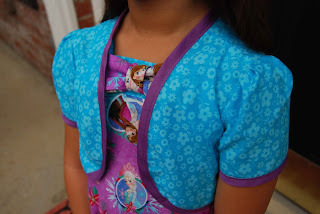 I used a main fabric (Frozen) and a contrast (aqua) with a pre-made bias binding. I sewed in an invisible zipper. 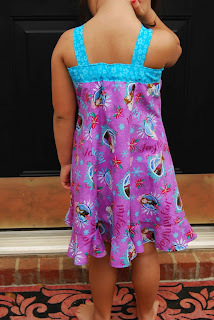 I LOVE the shape of the Carousel Vintage Sundress and Topper! The skirt has a great fit and flare due to its pieced skirt and ruffles. Pattern pieces fit together well and there was no "fudging it" to make pattern pieces come together. The bias-trimmed topper is cute and clean (on the inside and out). Also, as our weather is turning cooler, the topper will definitely come in handy! 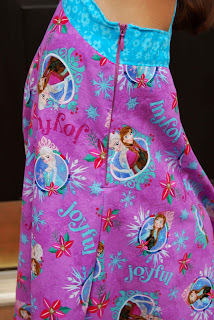 The tutorial was easy to read and follow and the photographs really helped me understand what I needed to sew/do next. 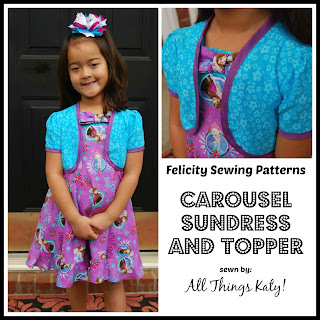 The Carousel Vintage Sundress and Topper PDF sewing pattern includes ALOT of pattern pieces. Between printing the pattern, taping it together, cutting it out and then tracing/cutting into the fabric, it's quite a time-consuming process. **Note, on the pattern pieces it mentions cutting a "pair" of certain pieces. "Pair" is the same as "mirror image." I got a little tripped up on the different use of vocabulary, so I thought I'd share with other's. ** At the time, I found it tedious. However, once my dress was complete, it was so worth it! The silhouette of the Carousel Vintage Sundress and Topper is definitely fun and flirty (without being scandalous) and different than most sundress patterns. I love when a pattern is unique! The Carousel Vintage Sundress and Topper fit well in the bodice and I found the length to be suitable (ie, not too short, not too long). I do want to disclose that Lil' Miss is technically 46" tall, not 47" tall as the size 6 calls for. Overall, I really enjoyed sewing up the Carousel Vintage Sundress and Topper. It is a special dress- perfect for dressing up, or dressing down. 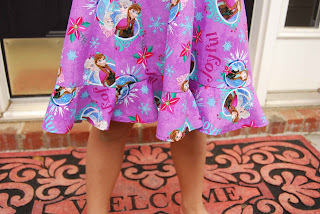 It is easily personalized and best of all, Lil' Miss LOVES IT!!! 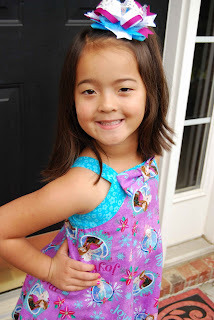 Thank you, Stephanie, for allowing me to review your newest PDF sewing pattern, the Carousel Vintage Sundress and Topper! It's a keeper and I can't wait to sew more for next summer!